2019 has arrived! With a new year can come changes to your strategy, reporting calendar, and more. We’re here to make sure you’ve got those updates covered in ClearPoint – and that you save some time along the way. 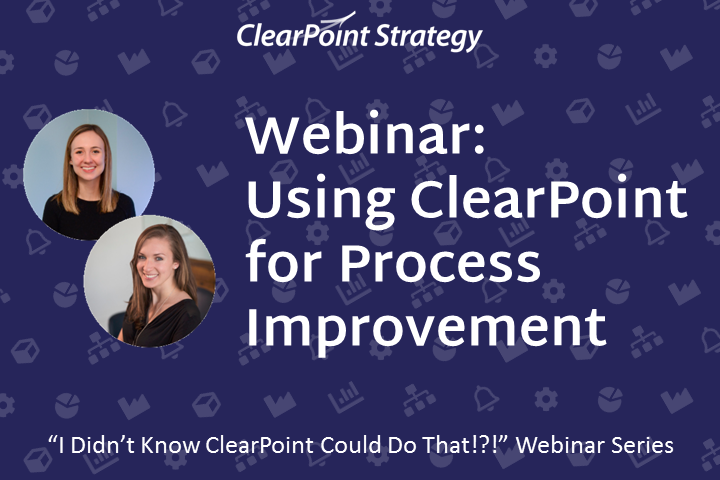 From refreshing your reporting frequencies to revamping your custom fields, join us for this episode of the “I Didn’t Know ClearPoint Could Do That!? !” Webinar series to learn more! Today, we’ll be covering the best way to prepare for a new year in your ClearPoint account. On our last installment, we walked through configuring notifications in your ClearPoint account, to keep your whole team up to date on important changes. I’d highly recommend checking out that recording on our blog, Vimeo channel, or support center. Just search “webinar”. Today, we’ll be focused on updating your account to prepare for a new calendar year in ClearPoint. Maybe some of you have already been completing these changes over the past month to get ready for 2019. Rachel: As they say, new year, new ClearPoint! Catherine: I was hoping someone would say that! Anyway, we’ll start by addressing the structure of your account – any changes to your scorecard hierarchy, or changes to the alignment of objectives, measures, and initiatives that you need to adjust. Then we’ll cover time periods themselves – your reporting periods and reporting frequencies. We’ll finish with your reporting calendar – and making sure you have the reports and custom fields you need to report out on your progress. And with that, let’s get started! We are flying the friendly skies at Upward Airlines today. Catherine: Now, first thing’s first. We want to make sure that the overall structure of our account is set up to accommodate for any changes to your organization’s structure. 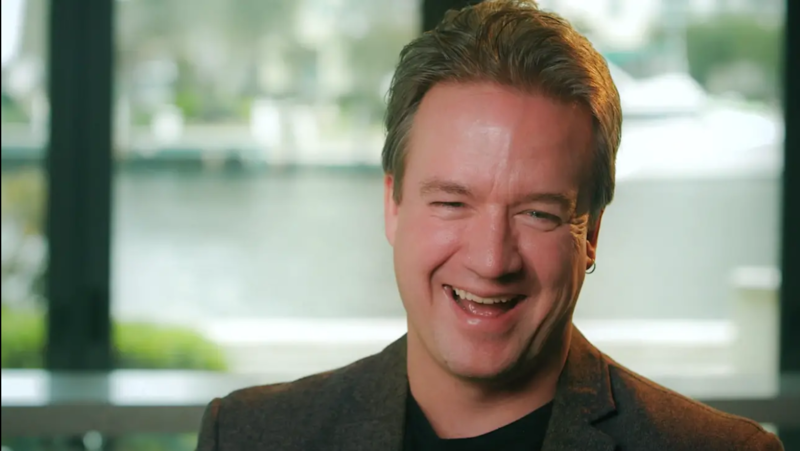 These changes might be due to a company-wide reorganization, or maybe you’re starting a new strategic planning cycle where it makes more sense to group things into different scorecards in ClearPoint – like divisions versus departments, for example. We’ll want to add scorecards for the individual locations responsible for tracking data and carrying out projects in each of those regions. But before we dive into adding any new information, I wanted to start with two ways of preserving information in your account. If you’re making changes, you might be nervous about messing something up or not being able to refer back to your old way of doing things. So with these tools in mind, you can feel confident in making new changes for the upcoming year. The first type of archive I’m going to cover is a Snapshot. If you’re not familiar with Snapshots, a snapshot is a view-only copy of your account, separate from your live account, that shows all your information as it was on the day you created the snapshot. Administrators can create snapshots by heading over to System Settings > Admin Options and clicking on the Snapshot panel. To add a snapshot, I’ll just click add, and give my snapshot a name. The name should give you an idea of when the snapshot was created, so you know what data you’ll be looking at. Then, I can click save. Once the snapshot is complete, I can assign it to various users – that means that when these users log in, they’ll see the option to log into their live account OR log into this snapshot. Now, accounts are typically licensed to maintain up to 3 snapshots – if you already have a snapshot for each of the past 3 years in your account, it’s time to think about deleting any older ones you no longer need. Chances are that the information you wanted to preserve three years ago isn’t as relevant as the newer snapshots anymore, so you can delete it to make room for newer copies of your account. Now I did promise there were two ways we suggest preserving information, and the alternative to snapshots that I want to mention is duplicating your existing scorecards. You can then use one set of scorecards as a locked “archive” copy, while you continue to adjust the other copy to fit your purposes going forward. So to do that, I’ll head over to the Scorecards dropdown > Manage Scorecards page. And since we’ve got the Upward Airlines Corporate Scorecard over here with the three divisional child scorecards, let’s click this copy icon to duplicate the top level. Now in this box, we’ll see a few options. Then copying our statuses and scorecard data will ensure that all update fields, status indicators, and data from our data table is preserved identically in this new copy. Then because we’ve got some scorecard hierarchy here – the corporate level scorecard with three “child” or “division” scorecards underneath it – we can choose to Cascade copy all our divisions too by selecting duplicate all child scorecards. When we click this, a new set of fields pops up so that we can rename the scorecards. I’ll add 2018 Archive Copy as a suffix after the child scorecard name, so that it matches the corporate scorecard. When I’m done, I can click Duplicate. It’ll just take a minute to go through them all. Rachel: While we wait, is there a reason that you’re using the newly duplicated set of scorecards – rather than the existing ones – as the archive? I mean, does it matter whether you use the original one or the duplicate? Catherine: That’s a great question. And it really depends on the way you plan to make changes – what’s important to keep in mind is that the duplicate of the scorecard will not automatically be added to your existing briefing books, HTML reports, or summary reports in other scorecards in ClearPoint. So if you’re overhauling a lot of these reports anyway, it might not really matter which one you use, but otherwise you’ll want to stick with the original scorecard. Also, if you have a community dashboard, keep in mind that your dashboard information will already be linked to the original scorecard too. The ClearPoint team is happy to assist with annual dashboard changes, so feel free to get in touch with questions! Alright, I can see our duplicate scorecards have appeared, with the name we gave them! So the last thing we want to do here is to lock these archive scorecards, which I can do from the scorecard edit window. Rachel: Locking does exactly what it sounds like it would – it locks the scorecard to prevent users from making any further changes. Catherine: Right, so in a way it’s like a view only scorecard for everyone, even administrators. And to lock the scorecard, I just check the box marked Locked. Perfect! Now, once everything is preserved, we can go ahead and begin making changes for the new year. And going back to our earlier example, we’re going to add city-level scorecards to redistribute our strategic information in our account. So, we’ll want to add additional scorecards, and we can go ahead and do that here. It’s very similar to adding an element; I’ll use the plus icon in the top right corner of the Manage Scorecards page. I’ll give the scorecard a name – Boston Office. And since this office is organized under our Eastern Division, I’ll set the Eastern Division as its parent. Rachel: remind me what a parent is again? Catherine: sure thing! Parent/Child links determine the hierarchy you see in that scorecard tree in the left navigation. If one scorecard is indented under another, the indented scorecard is set up as a “child”, and the higher one is the “parent”. The warm, fuzzy, family feelings you get when you log into ClearPoint are just a side effect. And you can change the wording in admin options if you really want to. Rachel: Got it! So if you’re reorganizing, you might need to adjust parent/child relationships for your existing scorecards, too. Catherine: yes, that’s a good point! So moving down our list of tabs here – if you’re using categories, or perspectives, to organize objectives in your scorecards, this Edit Scorecard window is where you would add them to new scorecards as well. Rachel: The beginning of a new year might be a good time to verify that your other scorecards are set up with the right user permissions, too! Catherine: Good point! Alright, now that that’s set up, let’s save our new scorecard. I can continue adding the rest of my city scorecards this way, or even duplicate this one if it’s already configured the way we want. So I could duplicate Boston to add DC and Atlanta, too. And now our next step will be to move around our objectives, measures, and initiatives to account for any changes in alignment or responsibility. Rachel: Sounds good! So you may be wondering if restructuring your elements will mess up your scorecards and thus derail your entire strategic plan. But no need to stress! It’s easy to un-link and re-link elements or even reassign which scorecard an element lives in. In fact, now that we have our new office-level scorecards, if we look at the elements in the Eastern Division scorecard, I think it makes more sense for the ‘Percent of employees that are happy’ measure to move from the higher-level ‘Eastern Division’ to the more specific ‘Boston Office’. To move which scorecard the measure lives in, we’ll click into the measure > Edit window > Edit Measure tab and select the Boston Office scorecard from the dropdown. We’ll receive a message confirming that we want to move home scorecards, and then I’ll click Save to confirm the change. Now you can see that we are in the ‘Boston Office’ in the scorecard tree and when I click into the detail page – how easy was that?? While we’re here, it looks like this “run-away” measure seems to have lost its Owner! Since we’re going through some reorganization, this is a good time to redefine users’ roles and responsibilities. Catherine: Spoiler alert – assigning ownership is key when creating reminders, which we’ll talk about in a few minutes. Rachel: I can’t wait! While we’re on a “reorganizing” roll though, let’s take a look at the alignment of our measure. We want to make sure it is still linked to the appropriate elements. To do this we’ll click to Edit > ‘Links’ tab. ‘Employee Satisfaction’ is definitely a logical objective for this measure, so we’ll keep this linked. However, I’m not sure I see the connection between employee happiness and traffic. Just the thought of rush hour in DC is already putting a damper on my mood! To un-link the ‘Airport Traffic’, all we need to do is simply click the red ‘Unlink’ button and then click ‘Unlink’ to let it go. As Marie Kondo would say, if it doesn’t spark joy, there’s no need for it on our employee happiness measure! It’s also important to remember that un-linking an element from another does not mean you are deleting the measure as a whole – the Airport Traffic initiative still exists in the account. Luckily, there are some other projects in our strategic plan that will better help us achieve our employee satisfaction goal, such as ‘Creating a new employee satisfaction survey’! So we can select a Scorecard, choose Initiative as the Link Type, then select our initiative from the Element dropdown, then click ‘Add Link’. And woohoo, we’re in business! Rachel: Now that our scorecards and elements are all cleaned up, we should take a look at our reporting periods and frequencies. Adding the reporting periods for 2019 to your account is crucial if you want to keep moving forward with your strategic plan. Given that today is the last day of January, it may be alarming to come into the office tomorrow morning and realize that you can’t report on the January 2019 reporting period because it doesn’t exist yet! So let’s take care of that right now and avoid a y2k-esque scare! Adding multiple periods for the upcoming year is super quick and easy. I’ll go to System Settings > Reporting Periods and click to Add Multiple. To speed up the process even more, I already created an Excel file with the 2019 periods and the corresponding calendar dates already filled out, so all I have to do is copy and paste! Catherine: And while Rachel is setting this up, I’d like to point out that all the periods have the same format as our existing periods in ClearPoint – the shortened month, hyphenated, followed by the two-digit year. You can always adjust the format of the periods for various reporting frequencies, but it’s good to have a consistent base. Also, note that the Period Date should correspond to the end of the month. Rachel: Right! Then from the Reporting Frequencies tab, I’ll go ahead and add these periods to the ‘Monthly’ reporting frequency right away, since all of the 2019 periods are included! Catherine: While we’re here, this might be a good time to make sure all of your frequencies are still relevant. Since they are so simple to create, it can be easy to end up with too many and not know which ones to use going forward. Rachel: You’re totally right Catherine! I actually don’t recognize this ‘Trimesterly Reporting Frequency’, but it seems to be in use somewhere in the account since the trash icon is greyed out. This is helpful because it prevents me from deleting the frequency when doing so might impact elements in our account. Luckily, I know a really cool way to figure out where I am using this reporting frequency throughout the account. That way I can decide if I should keep using it or not. So from ‘Manage Measure Reports’, we’ll create a new report called “RF Clean up” and include ‘Measures’ and ‘Reporting Frequency’ as our columns. On the measures tab, i want to include all my scorecards so I can see any instances where this reporting frequency is in use. In the Filter tab I’ll select to only show measures that are using the ‘Trimesterly’ Reporting Frequency’ by setting Reporting Frequency Equals Trimesterly. It looks like only this one measure is using this frequency, so it doesn’t make sense to keep it. Instead, I’ll change the reporting frequency for these measures by clicking into the detail page > Edit > select Monthly. Now that no measures are using this frequency, we can delete it! I’ll go back to Reporting Periods > Reporting Frequencies > and Delete. Catherine: Great, this is looking nice and standardized! And just a reminder – deleting a reporting frequency won’t delete any data, since it’s just a combination of your periods. But you do want to be extra careful about deleting Reporting Periods, since that’s where data is stored. Catherine: Now that we’ve got our time periods configured for a new year, let’s focus in on your strategy review process. The beginning of a new year is a good time to think through any changes to how you’ll be reviewing your progress – also known as your reporting calendar. Are you still holding strategy review meetings on the same dates, with the same audience, and at the same monthly or quarterly frequency? Rachel: If there have been any changes, the most important step is to inform everyone who’s involved, whether you do so through ClearPoint or not! Catherine: That’s right! Even if you’re still sorting through some specifics, it is best to give people a heads up that certain parts of your strategy review process are going to be changing. Now if there are changes to your meeting structure, the reports you plan to review during these meetings might be changing as well. Rachel: By reports, we mean anything you review – this can be detail pages and summary reports in ClearPoint, Briefing Books, or HTML exports. Catherine: right! And the beginning of a new year is a great time to make sure that these still fit your needs. That is – do they show the amount and types of information that apply to your intended audience? Let’s take a look at our Red alert report as an example. We’ve been finding that only reviewing Analysis in our meetings leads to a lot of discussion around what went wrong or right, but not as many concrete suggestions for what to do better in the future. So going forward, we might choose to edit the report > go to the columns tab > and add the Recommendations Column. Now, we have a report that will encourage us to discuss both the past and our next steps forward. You might also take a look at your reports from the standpoint of how users are making their updates – for example, your teammates can take advantage of this report by double clicking to edit inline and adjusting all measures they own from this one page. You might consider creating a report that has all the information they need to update in one place and directing them to favorite it if they choose. There’s so much potential at the beginning of a new year, why not use that momentum to get people more engaged and saving even more time with ClearPoint? And over in my Briefing Books, chances are that I’ll need to adjust the content to accommodate our scorecard reorganization, too. Let’s click into our Eastern Division briefing book for example. Now that we have city scorecards in each division, we might now need to include summary reports from those individual scorecards in addition to the eastern division overall. So I can click on my Scorecards tab, and check the box next to the Boston, DC, and Atlanta scorecards. From each one, I can then select the content to include in this report. Rachel: If you don’t have a schedule set, now’s a good time to set one up! I’ll click to add a schedule and name it so I know when it will be delivered: Monthly Monday 1PM. I can then set it to be delivered at 1PM on the first Monday of each month. Catherine: Great! And I can also make sure on the Recipients tab that our recipients still match the group of people who will need to see this report before our meeting. And speaking of schedules, it’s always good to make sure your automatic reminders will be set to run on the appropriate dates, and that they’ll include all the content you need users to update. And I’ll edit the monthly reminder that goes out to our updaters. Then on the Schedules tab, I’ll make sure that our reminder date still corresponds with the deadlines by which data needs to be entered. So if people are having trouble getting their updates in on time, I might move it up a week. If you’re worried about keeping track of particular changes, you might think about adding some new notifications for the new year as well. You might add new pages to your favorites, then head to My Favorites, and check the box to be notified of any new changes to these pages. Lastly, make sure your individual notifications and notification templates are up to date. As an administrator, I can head over to the notifications page, edit my template, and unlink or link any new elements I want to keep track of. Now that we’ve got that taken care of, we want to touch on one last area of your account that’s good to take stock of at the beginning of a new year! Rachel: As you’re going through and updating your reports, you might realize there are other types of information you need to track to support new leadership goals or types of conversations. And – you guessed it – custom fields can come in handy for that. Let’s do a quick refresh of how to create these new types of fields. Go to Admin Options > Custom Fields. The tabs on the left panel determine which element type the custom field will be accessible to. Let’s create some initiative custom fields right now so I’ll click into the Initiatives tab. I want to be able to label the priority of my projects as ‘High, Medium, or Low’ – is there an easy way I can do that? Catherine: Why don’t you use the picklist custom field? Rachel: Great idea! I’ll click the green plus icon to Add > name it ‘Priority’ > select ‘Picklist’ as the Field Type > type in our priority levels > and Save. This is awesome, but I can barely find my new ‘Priority’ custom field among all of these other custom fields! Some of these I don’t even recognize. Catherine: Just like we did with Reporting Frequencies, let’s also get rid of any custom fields that we are not using! Rachel: Good thinking! Although, I have to be more careful here because deleting a custom field that is in use will delete all of the information in the field. Looking through these, I don’t recognize this ‘Quick Update’ field. It actually seems pretty similar to the type of information I would include in the ‘Analysis’ field. It looks like the ‘Quick Update’ field holds the exact same information as ‘Analysis’, and this is the only initiative that is using this field. Great! So with that, we’re reaching the end of our time here today, and we want to make sure to answer your questions. What if I delete something by accident as I’m reorganizing my account? Is there any way to get it back? Yes, you are in luck! For any user who is able to delete things from ClearPoint, which is editors, scorecard admins, or full administrators, they can click into the recycle bin to undo any changes that were made by mistake or need to be undone, within 30 days of that initial deletion. As far as permissions, editors and scorecard admins can delete anything they themselves have deleted, whereas full administrators will have access to delete anything that’s been deleted across the account. What if all my measures need to be moved from one scorecard to another? It’s super easy to bulk change the home scorecard. We’ll just go to manage measures and select the checkbox at the top to check all our measures, and confirm that we mean all 26 measures in the scorecard. Then we’ll use the dropdown next to the green plus icon to click edit multiple, we’ll select scorecard as the field, then choose to move everything to the dc office. It’s just that simple! Is it possible to create reporting frequencies that are specific to a measure? For example, in our finance department we may want to show the last five years of data, but on our strategy measures, we only want to show one year. This is a good example of an intance where you want to show a different number of years in your data tables, and you can set up different reporting frequencies to do so. We would just encourage you to occasionally take stock to make sure you’ve still got a succinct group of frequencies. For example, we’ve already got our annual frequency here, so we might label this 5 years, and we could even indicate in the name that it’ll be used for finance measures, if that’s this frequency’s only purpose in your account. Then we can make sure on the Reporting Periods tab that the last 5 years are the only ones selected. Then keeping the labeling consistent, we could show last 1 year of data in a new reporting frequency for strategy measures. For reporting periods, we could just select a different group of periods to make sure they match what you want to show in your measure data table. It’s best if youre not createing a reporting frequency for every single measure in your account, but in this instance, there are defined groups that’ll benefit from defined frequencies, and it’s not like this is an overwhelming number of frequencies to choose from. You’ve made it really clear when to use these reporting frequencies and what they’ll show in the data tables. 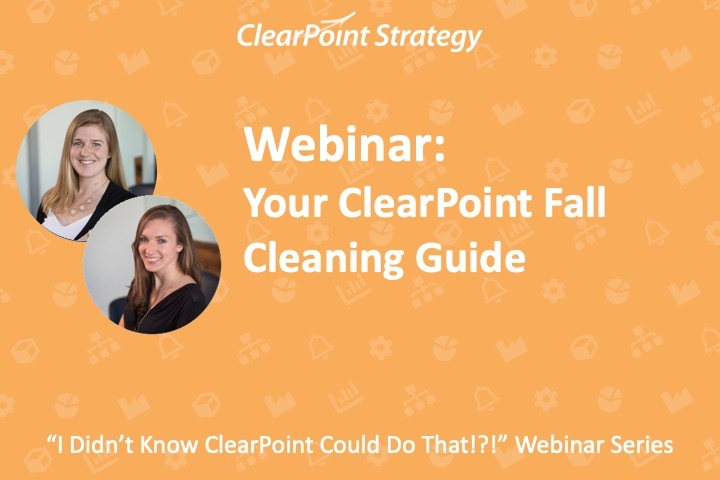 Alright, that’s all we have time for today – thank you so much for joining us on the “I Didn’t Know ClearPoint Could Do That” webinar series! We’ll see you next time, and Happy Reporting.